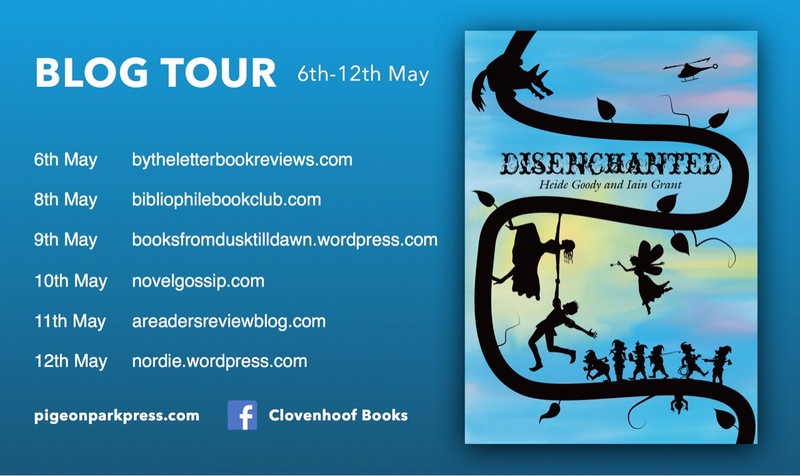 Welcome to my stop on the blog tour for Disenchanted. I have a funny guest post to share with you today. Apologies for the state of this letter and the quality of my handwriting. I am having to write it in peculiar circumstances. I have surprising news. I am currently in Arizona! This is, as they say, a turn up for the books. Quite apt as I have literally turned up for the book, namely Lang’s Black Fairy Book, his missing thirteenth volume of fairy tales. When I last wrote to you, I had just heard that the book was perhaps with the domunculus reliquary in Cleveland, Ohio. A few phone calls later and I was speaking to a Professor Raposa of the University of Arizona where the reliquary is on loan. Professor Raposa, I am embarrassed to say, is a fan of my work and both an invitation to visit and plane tickets were soon sent my way! I was naturally thrilled but Pak Choi, my faithful companion, was less pleased. He had heard rumours about the questioning some people are put through at US border control and was worried that the officials might give one of the Fair Folk a tough time. I said he should simply not say anything to annoy them and just keep them happy. To distract him from worry on the flight, I told him my favourite Arizonan story. It concerns Grey Fox, hero of the Yuman-speaking Native Americans. Giants had come out of the east and from their camp atop a mesa attacked the people of the land, eating those that they could catch. The king rode out to meet the giants and he too was eaten. After that, no one wanted to be king. Grey Fox, who was a reluctant hero at best, knew he had to face the giants. As he walked towards the mesa, he met a horned toad, who offered his help in defeating the giants. He gave Grey Fox his ‘horned helmet’, his ‘horny breastplate’ and his ‘scaly wings’ and told him that he should fight the giants so that the giants had their backs to a cliff edge. Grey Fox went to the mesa and, using the toad’s wings, flew up to meet the giants. They threw spears at him but they broke against his breastplate. They fired arrows at him but they bounced off his helmet. The giants, fearing that Grey Fox was a spirit, dared not take their eyes off him. 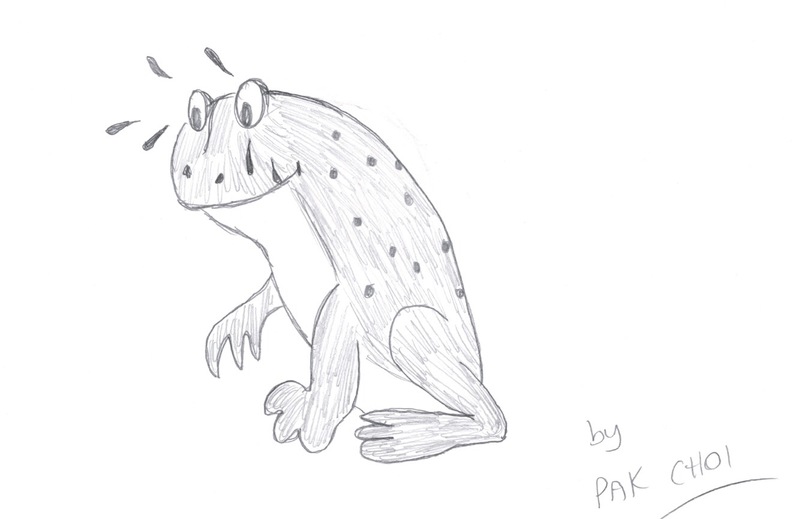 As the toad had instructed, Grey Fox fought them so they had their backs to the cliff edge so when he leapt at them, they stepped back and fell down to their doom. The last of them to fall reached out and ripped the wings from Grey Fox’s back. Grey Fox returned to the horned toad and gave back the helmet and breastplate. But, seeing that his beautiful wings had been destroyed, the toad was overcome with sadness and anger which is why, to this day, the wingless horned toad cries bitter tears of blood whenever the fox comes near. The man at the immigration desk had clearly not seen a passport from the Fair Lands before. They are rare after all and composed primarily of pressed leaves and petals. I suspect Pak Choi might have taken my earlier words too literally. He whispered certain words to the man and the man started laughing. He did not stop laughing, even when they had wrestled him from the booth and taken him away on an ambulance stretcher. We hotfooted it out of the airport as quickly as possible. Professor Raposa was a delightful host who put me up in his Tucson home. Of late, all the men I meet seem to either be suspiciously monobrowed or have some sort of romantic interest in me. It appeared that Professor Raposa was one of the latter. At dinner, with an honesty and charm that British men simply don’t have, Professor Raposa explained that he had first seen me delivering a speech at a symposium in Illinois some years earlier and had ‘taken a shine’ to me. I recall delivering a paper at the event entitled “People in Glass Slippers shouldn’t own Thrones: Why Cinderella would have been a Rubbish Queen” but I had no recollection of meeting the professor. I rebuffed the professor’s gentle advances and we spent a perfectly pleasant evening over a bowl of chili, a plate of something called cheese crisp and a glass of Sonoita Malvasia, an American wine that was far more pleasant than certain European wine-snobs of my acquaintance might have me believe. The following day, we went to the Arizona State Museum in the grounds of the university and to the domunculus I had come all this way to see. However, I was distracted by the sight of the infamous Silverbell Road Crosses that the museum also has on display. The crudely cast lead crosses are perhaps evidence of a mythical colony of religious exiles who fled from Rome over twelve hundred years ago and settled in Arizona centuries before the arrival of the Spanish conquistadors. The badly-formed Latin inscriptions and the carved imagery (including a dinosaur, no less!) offer hints of a marvellous story of great adventure, remarkable encounters in the Arizona desert and possibly even dinosaurs. Or, they all form part of an elaborate hoax, created for unknown reasons by a local Mexican sculptor. If only I had the time to study them further and draw my own conclusions! 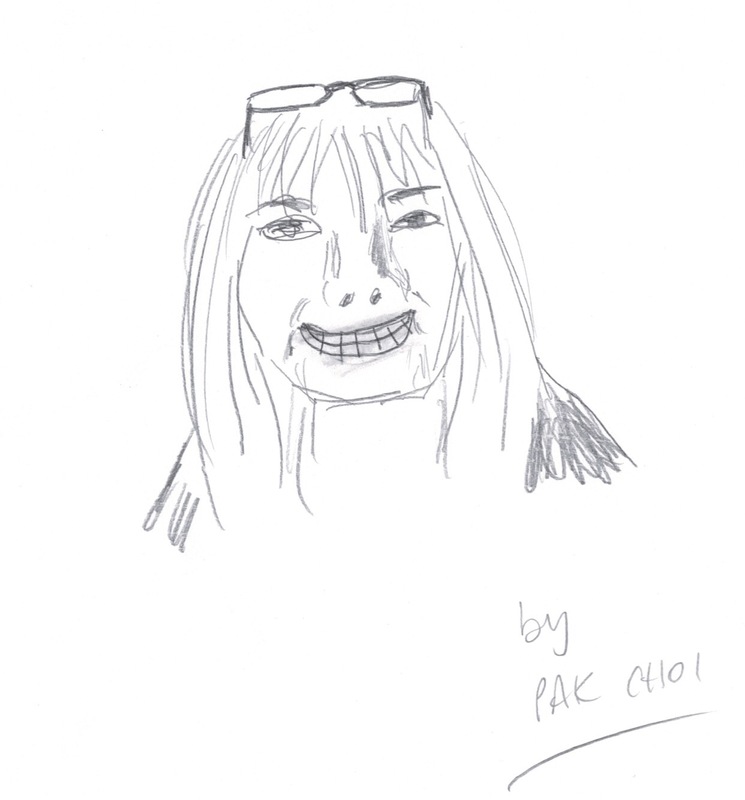 Pak Choi’s own conclusions are evidenced in this delightful drawing he has rendered. Professor Raposa took me to a gallery attended by two young men and there he presented to me, wrapped in a protective sheet, the Uttoxeter Casket. The reliquary was both smaller and more intricately carved than I had imagined. The boxwood carvings show various scenes from the life of Christ, including the nativity and the crucifixion. I told Professor Raposa that it was beautiful but, in all honest truth, I wanted to look within. Professor Raposa obliged and lifted the lid. Oh, dear friends, did I expect to see Lang’s missing book of fairy tales just sitting there? Did I foolishly think that it had remained hidden for decades because no one had thought to look inside the box? The answer, sadly, is yes. But, naturally, the reliquary box was empty. Well, almost. At the bottom of the box was a black and white photograph. I inspected it and saw that it was a photograph of a section of medieval manuscript, featuring an image of a fair queen upon her throne. Professor Raposa was keen for my interpretation of the photograph which had arrived with the box. I was not quick to come to any judgement. 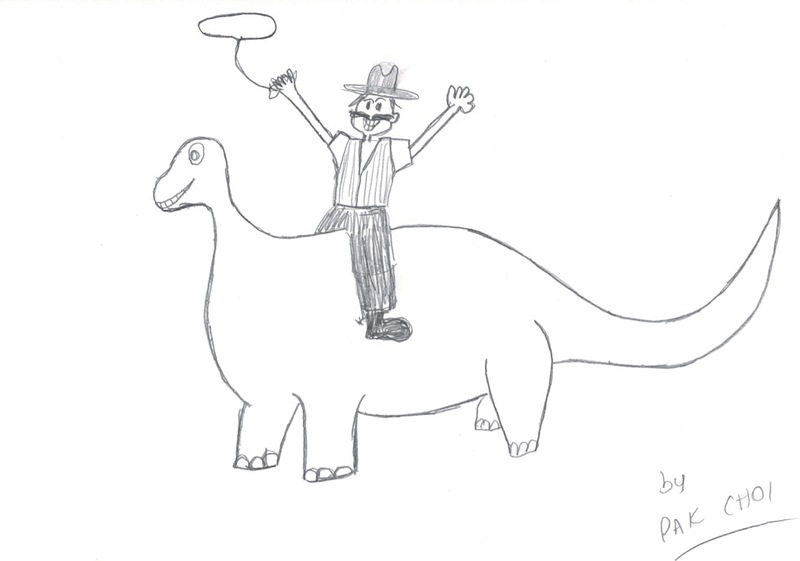 Jumping to hasty conclusions will have people believing in cowboys riding dinosaurs and wotnot. Professor Raposa became unaccountably impatient and then angry and he demanded that I tell him where the Black Fairy Book was. He made a passing remark about ‘the cheese-dangling witch!’ but I was suddenly and acutely distracted by the guns that the gallery attendants now pointed at me. I was struck by two almost instantaneous thoughts: one was that the two gallery attendants had rather thick eyebrows, the other was that it seemed something of a cliché for my current adventure to only feature firearms when I travelled to the United States. Oh well, such is life. Unable to answer Professor Raposa’s demands for the location of the Black Fairy Book, even at gunpoint, I soon found myself in an unusual position. In short, I am currently writing this from the confines of the boot of what I understand to be a Lincoln Continental (you might have been curious as to why I have been forced to write this letter on end papers torn from your latest novel. It is no reflection of the regard in which I hold your book; it was simply the only paper to hand). It’s not the ideal space in which to write a missive but it could be worse. I will say this for our American friends, they do build cars with plenty of trunk space. I am not sure where the malicious Professor Raposa and his accomplices are taking me but I hope to post this letter to you as soon as I am let out. I am deeply conscious that I said I would be at your book event in four days’ time. Be assured I very much intend to be there and to have read your book in full by that time. I am sure all this nasty business will be wrapped up long before then. 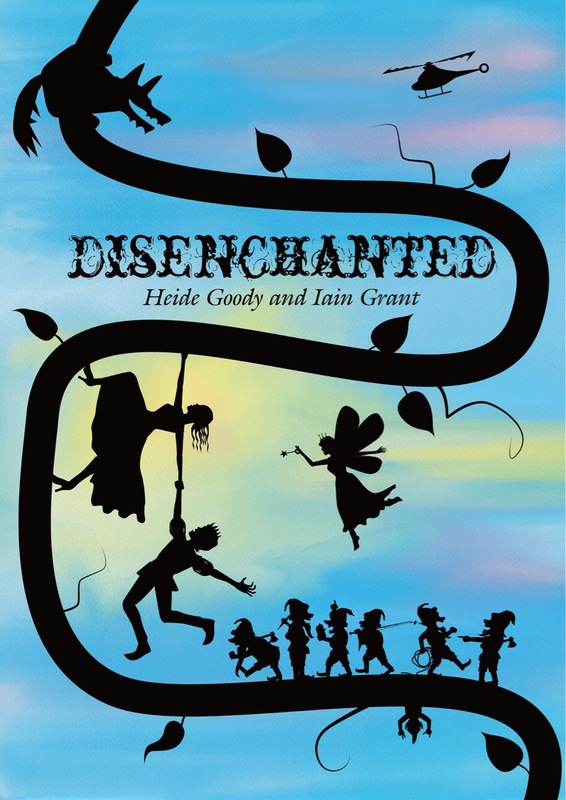 Dr Epiphany Alexander’s latest book, “High Ho, High Ho: Drug Use and Prostitution in Fairy Tales” is currently available from Sheffield Academic Press.